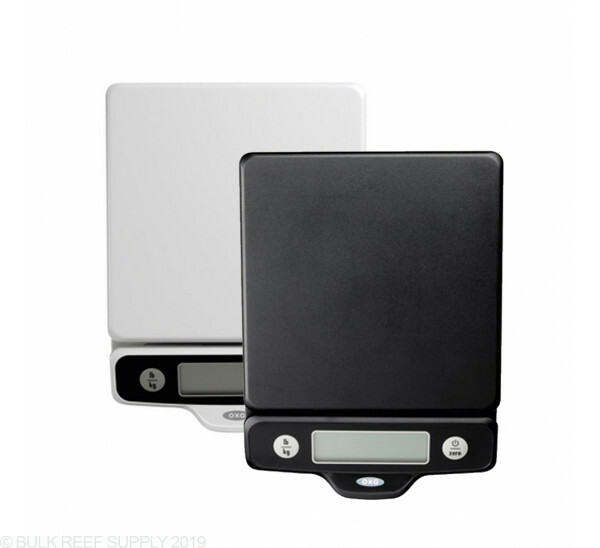 Compact scale to accurately weight your 2 part aquarium additives. 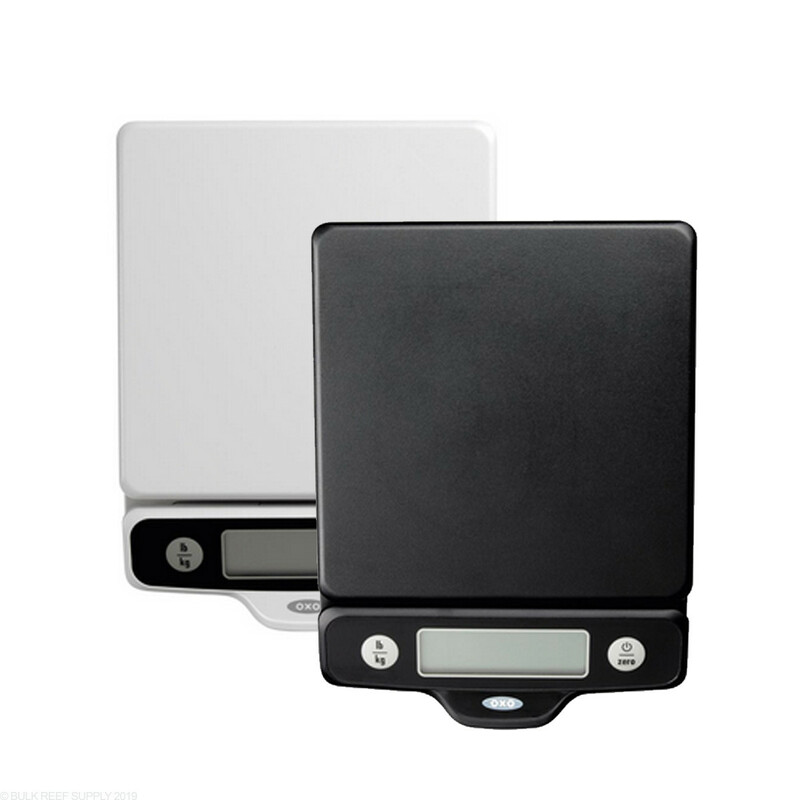 Easy to use - weigh directly on scale or on plate or bowl. Display pulls away from scale when a large item shadows the display. Dimensions: 7.9" x 5.65" x 1.1"
I bought this to use to measure the 4 different parts of my salt mix (ESV) because I kept getting very different dKH, sg, Ca, and Mg results with every batch of salt I made up which was getting frustrating and time consuming. With the scale batches have been extremely consistent. Scale is easy to use and clean up. No complaints so far.